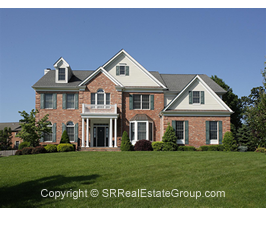 Spectacular, Gracious Custom Colonial with Wonderful Details & Quality Throughout. A Must See Home! This Magnificent, Meticulously Maintained Custom Estate is located in Morris Township’s Desirable Spencer Estates neighborhood. Built by premier builder Harvey Caplan, Luxurious yet Comfortable and Inviting, every amenity is elegantly embraced in this Classic Colonial. This Exceptional Home res	... More Details..
Gorgeous Custom Colonial Exudes Elegance and Charm Meticulous Attention to Detail and Tastefully Designed Open Grand Victoria Model is Ideal for Entertaining 2 Story Grand Foyer includes a Beautiful Chandelier with Lift, Dual Closets, crown Moldings, Recessed Lighting, and Gleaming Hardwood Floors Expansive Formal Living Room with Gleaming Hardwood Floors, Crown Molding, Recessed Lighting, ope	... More Details.. Magnificent, Meticulously Maintained Custom Estate in Prestigious Spencer Estates. Built by premier builder Harvey Caplan, Luxurious yet Comfortable and Inviting, every amenity is elegantly embraced in this Grand Colonial. Majestic Stone-Front Home rests on a quiet street, fronted by a Circular Driveway, a Lush Lawn, Beautiful Landscaping, an Idyllic Pond and Lots of Privacy. Bright and Spaciou	... More Details..
Live a life exceptional in this stunning custom Country Club Estates Colonial! Fantastic location near downtown Madison, the train station, the malls at Short Hills & Livingston, Brooklake Country Club, and private universities. Access to highly-rated Florham Park schools. Nestled on 2+ private acres, this luxurious estate offers the ultimate in comfort & sophistication. Thoughtfully designed ... More Details..
With its handsome brick front and meticulously maintained landscaping (including a bloom of roses each year), this home boasts fantastic curb appeal! Plus its enviable location in Whippany means lower property taxes compared to other nearby towns, excellent schools, and easy access to many nearby freeways, shopping, and recreation. This home delights in every room! First enter into a bright 2-	... More Details..
Upgrade Your Home and Move into this Gorgeous Colonial! Fantastic Curb Appeal, Elegant Paver Drive & Walkway, with Lovely Trees and Landscaping. 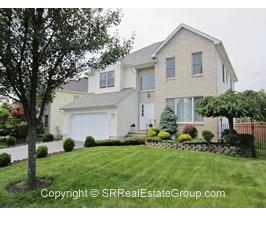 Desirable Neighborhood with access to Montville's Excellent Schools. Plenty of Shopping, Dining, and Outdoor Recreation in the area. Close to 287 and Rt. 202 and major thoroughfares such as Changebridge Rd. New Roof, Freshly Painted, Cathedral Ce	... More Details..
You will Live and Entertain with Pride in this Wonderful Home! Excellent Location convenient to Freeways, Shopping, Dining, Parks, and Recreation. Just 5 +/- Minutes to the Mt. Tabor Train Station - Outstanding for Commuting & Excursions. 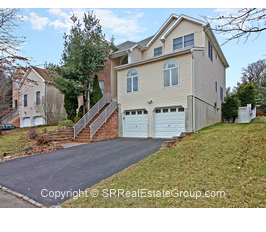 Located in Parsippany with a Morris Plains mailing address. Parsippany boasts Quality Schools! Desirable Cul-de-Sac Street. 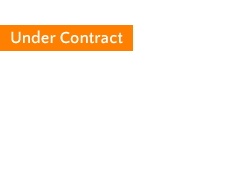 This Contemporary comes with Gr	... More Details.. Absolutely delightful center hall Colonial in the sought-after Mazdabrook Preserve in Parsippany. These homes go fast and a beautiful home like this will go even quicker! Exclusively available to show to our buyers - this home is NOT in the MLS yet! Parsippany was recently rated #28 in the Top 50 Best Places to Live in the country by Money Magazine. Short Distance to shopping, ma	... More Details..
Live luxuriously and entertain with pride in this impeccable Randolph Colonial. Excellent location on a cul-de-sac street and just a short walk to Shongum Elementary. Very private on over 0.5 acres with woods behind, a fenced backyard, and big deck & paver patio. Spacious & bright featuring wood floors, wide archways, cathedral ceilings, gorgeous built-ins and updates. Large formal living & di	... More Details.. Absolutely stunning renovated Colonial! Elegant updates, fab amenities-you'll be proud to entertain in this beautiful home. Crown & panel moldings, wood floors, picture windows, French doors, vaulted ceilings, & skylights make this home bright & inviting. Stylish updated baths for you and your guests. Living room features French doors to the foyer & family room, inlaid wood floors. Floor-	... More Details..
Gorgeous renovated home in a prime location! Walk to parks & schools, approx. 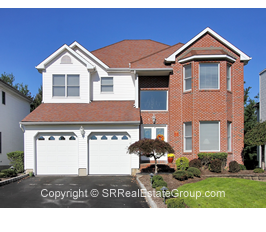 1 mile to Garwood & Cranford train stations, and quick access to the Garden State Pkwy. Inside this home shines with clean, classic styling & luxe details. Gleaming hardwood floors thruout, crown moldings & tall baseboards, new light fixtures, and more. Convenient entrance vestibules at front & rear of the home. ... More Details.. This fantastic renovated bi-level sits on a hilltop set back from the road with beautiful foliage/trees in front and back for maximum privacy. It comes with a nice-sized, level backyard for enjoying the sunshine. Lake privileges available at nearby Shongum Lake! Inside you'll adore the bright open floor plan ideal for entertaining and the hardwood floors throughout the upper floor (living &	... More Details.. Beautifully renovated Cape Cod with old world charm and modern conveniences! Inside you'll love the bright living room with its wood floors and brick gas fireplace. The modern kitchen and dining room both feature gorgeous tile floors. Plenty of space for casual or formal dining in the dining room, plus crown moldings and access to the open porch. The porch includes recessed lighting and i	... More Details.. Wonderful 3 bedroom, 2 bath, 1-car garage renovated farmhouse in Denville! Beautiful rustic-style finishes pay homage to its 1800s heritage. You'll love the hardwood floors, beam vaulted ceilings & skylights, the gorgeous stone fireplace in the great room, hand-crafted granite kitchen, screened porch, large pergola-covered deck, and wooded location. Kitchen features a large mudroom style ar	... More Details.. Excellent location in the heart of Union's busiest areas! Just 5 mins. to the Short Hills train station, ideal for commuting, and very close to all the conveniences & amenities of Short Hills, Summit, Springfield, and Maplewood. Less than 1 hr to NYC by car, quick access to Rt. 24 & I-78. This bright 1900s home brings turn-of-the-century charms with its wood floors, bay windows, and molding	... More Details.. Absolutely gorgeous remodeled home! Nestled on a wooded lot just 1 min. to Lake Tranquility, this home is ideal for those who crave the peaceful country lifestyle but desire a modern updated home. Beautiful wood floors throughout the upper floor. Fantastic open living & dining rooms and kitchen for comfortable everyday living and easy entertaining. Large deck and a sizable patio beneath supply	... More Details..